While deaths from overdoses of heroin and narcotic painkillers like Oxycontin have surged in recent years, a new report finds the same thing is happening with widely used sedatives such as Xanax, Valium and Ativan. In 2013, overdoses from these drugs, called benzodiazepines, accounted for 31 percent of the nearly 23,000 deaths from prescription drug overdoses in the United States, researchers said. 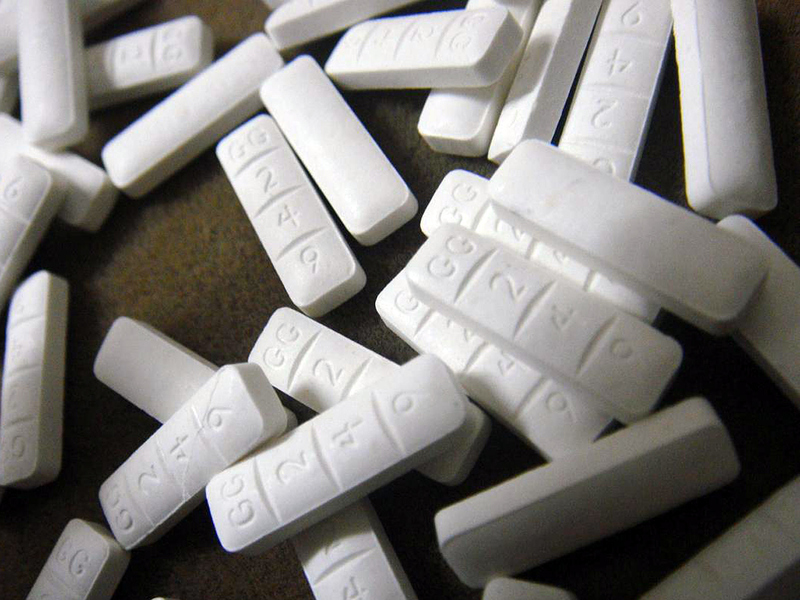 "As more benzodiazepines were prescribed, more people have died from overdoses involving these drugs," said study author Dr. Joanna Starrels, an associate professor of medicine at Albert Einstein College of Medicine in New York City. "In 2013, more than 5 percent of American adults filled prescriptions for benzodiazepines," she said. "And the overdose death rate increased more than four times from 1996 to 2013." This epidemic hasn't received the attention it deserves, Starrels added. "There's been a large public health response to the epidemic of prescription narcotics use and addiction and overdose, but there has not been much response to the increase in prescription benzodiazepine deaths," she said. The rate of deaths from benzodiazepines is still lower than deaths from narcotic overdoses, but these deaths often involve narcotics as well. "About 75 percent of overdoses that involve benzodiazepines also involve narcotics," Starrels said. Benzodiazepines are sedatives and can slow breathing, "particularly when taken with alcohol or narcotics such as Oxycontin or heroin," she said. For the study, Starrels and colleagues used data from the Medical Expenditure Panel Survey, which tracks drug prescriptions, and the U.S. Centers for Disease Control and Prevention, which monitors deaths from drug overdoses. The data covered the years 1996 to 2013. The researchers found that the number of adults using a benzodiazepine increased 67 percent over the 18-year period -- from 8.1 million prescriptions in 1996 to 13.5 million in 2013. In addition, the average quantity of filled prescriptions more than doubled between 1996 and 2013. At the same time, the overdose death rate for these drugs increased from 0.58 deaths per 100,000 in 1996 to over 3 deaths per 100,000 in 2013 -- a more than fivefold increase, the researchers said. The overall number of overdose deaths from benzodiazepines has leveled off since 2010, Starrels said, but that rate continues to rise among adults over 65 and for blacks and Hispanics. The findings were published online Feb. 18 in the American Journal of Public Health. It's estimated that one in 20 adults fills a benzodiazepine prescription in a year. These drugs are prescribed for anxiety, mood disorders and insomnia. "Benzodiazepines are commonly prescribed agents and should be used judiciously," said Dr. Scott Krakower, the assistant unit chief of psychiatry at Zucker Hillside Hospital in New Hyde Park, N.Y. Patients are often unaware of the toxic effects these drugs can have, especially when combined with other substances, such as alcohol and narcotics, Krakower explained. In addition, patients typically under-report the dosage and quantity of those drugs, "making it difficult for primary care doctors to know what their patients are taking," he said. Children are also at risk, he warned. "There are also growing concerns of diversion of these drugs to children who are unaware of their lethal effects," Krakower said. Tighter regulations of these drugs are needed, he added. This includes prescribing smaller quantities and using other non-habit-forming drugs or longer-acting benzodiazepines, he suggested. Parents and other family members should keep these drugs away from children. And more public education is needed about these drugs and "the dangers they have when combined with alcohol and other substances," Krakower said. Dependence on these drugs may lead to "drug-seeking behaviors and could have lethal consequences," he added.